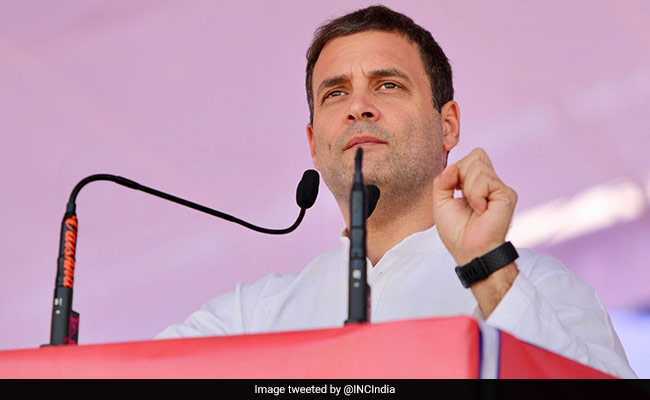 Rahul Gandhi had earlier talked about not giving tickets to those "who land in a parachute"
Discontent surfaced over the first list of candidates announced by Congress and TDP for the coming Telangana assembly polls with aspirants who failed to get the berth, crying foul and supporters of some staging protests today. Former PCC president Ponnala Lakshmaiah, who had also served as a minister in Congress governments till 2014, rushed to Delhi as his name was not part of the first list. Congress declared its first list of 65 nominees late on Monday. Bikshapati Yadav, former Serilingampalli lawmaker in Hyderabad, was disappointed as his constituency had been allotted to the TDP, a partner in the Congress-led alliance. Saying that he has already conducted a 'padayatra' in the constituency, he wondered whether this was the recognition one gets for having worked for the party. "Is this the result the party gives for having served it?" he asked. Congress president Rahul Gandhi had earlier talked about not giving tickets to those "who land in a parachute" at the time of elections but "what happened now", he said. Demonstrations were held in some places in the state by supporters of some aspirants. Asserting that Congress would form the government after the assembly elections, former lawmaker and AICC secretary Madhu Yashki Goud said all the Congress aspirants would get due recognition and respect. Congress is part of the "grand alliance" for the December 7 elections to the 119-member assembly. The alliance comprises Congress, TDP, CPI and Telangana Jana Samiti (TJS). Congress has decided to leave 25 seats to its allies -- 14 to TDP, eight to TJS and three to CPI. TDP also released its first list of nine candidates on Monday night. Supporters of an aspirant for Serilingampalli segment held a protest against the TDP ticket being alloted to Bhavya Anand Prasad. The process of filing nominations began Monday with the Election Commission issuing the poll notification.